The M Care Phone is a portable and lightweight carephone. If a user needs help, they can simply press a button to quickly raise an emergency call. The M-Care device is a fantastic way to manage a system of alarms and enhanced telecare sensors both inside and outside of a property. M-Care can link to a fall detector and detect falls anywhere that they occur. 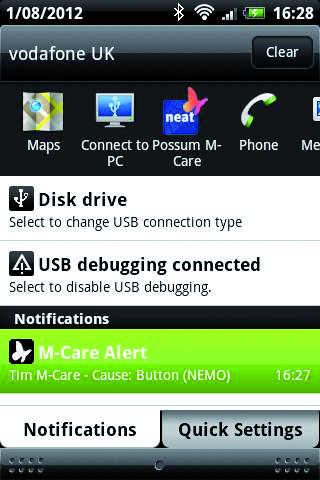 M-Care can work with GPS, and if a pendant or fall event occurs, both a map showing the location and a voice call are made from the device to carers, loved ones, etc. 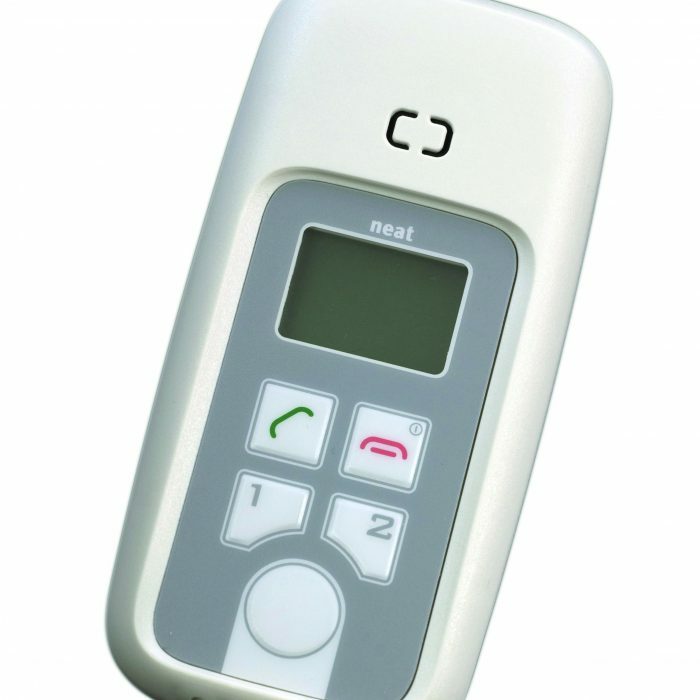 It is available in a 2 or 3 button option (pictured) with or without GPS. The 2 button allows for 1 emergency contact to be called, the 3 button option allows for 2 emergency contacts to be called. Can have with or with GPS. If GPS selected and a pendant or fall event occurs, both a map showing the location and a voice call are made from the device to carers, loved ones, etc.